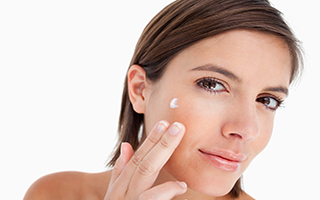 Excessive ultraviolet radiation (the sun), age, and environmental pollution, all diminish our skin's vitamin C stores and accelerate the aging of our skin. This low vitamin C content of our skin increases oxidative stress, degrades the collagen we have and inhibits the production of new collagen. Recently, a study published in the journal Clinical, Cosmetic, and Investigational Dermatology used a modern assessment technique, ultrasound, to evaluate the effects of topical vitamin C on participants' facial skin. For this study, 60 female participants applied either a vitamin C-based or a placebo moisturizer for 60 days. The researchers took ultrasonographic images of their facial skin before they began treatment, at 40 days, and at 60 days. They evaluated the thickness of the participants' epidermis and dermis, the number of low (LEP), medium (MEP), and high echogenic pixels (HEP), and the number of LEP in the upper and lower dermis (LEPs/LEPi). They found that LEP went down significantly for all of the participants who used the vitamin C, particularly in those who were under the age of 50. MEP and HEP levels, which relate to protein synthesis, went up for all vitamin C users, but especially the youngest participants. This suggests that vitamin C helps stimulate collagen synthesis for all age groups and can be especially effective for younger users. The study also did not identify any significant side effects to using vitamin C.
Vitamin C is critical to the body's production of collagen and it's simultaneously a very strong antioxidant that's known to aid in rejuvenating our bodies inside and out. While vitamin C is important for our health, as we age our natural levels of vitamin C diminish, especially in the skin. Enter topical vitamin C. Results from several clinical trials demonstrate that when applied topically vitamin C enhances collagen production and diminishes free radical impact, keeping our skin more firm and youthful. So I recommend applying a topical vitamin C serum. I'll have more on these serums in the near future. I hope we'll continue to see more studies like it in the future that help us identify the ingredients that keep our skin looking its best.